French news outlets Le Monde, Canard PC and Mediapart are reporting claims against development studio Quantic Dream, detailing a workplace inundated with inappropriate behavior, homophobic and racist humor, harassment and toxicity throughout the organization. 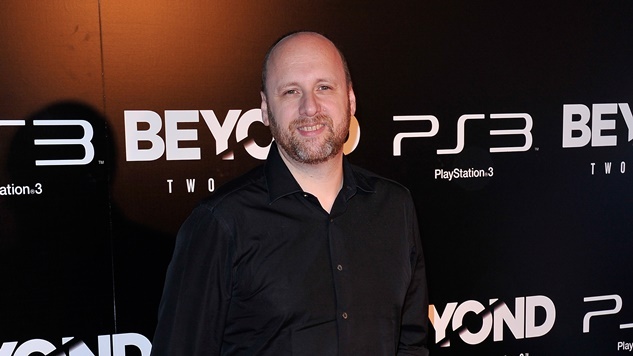 Via translation by Eurogamer, the studio’s founder, David Cage, and co-CEO, Guillaume de Fondaumière, stand accused of tolerating or negligently managing the studio in the face of inappropriate conduct. According to Le Monde, five former employees filed a complaint in spring 2017 relating to a collection of 600 photoshopped images discovered by an IT manager in February 2017. The images were described as homophobic and sexist in nature, and depicted Quantic Dream employees. Some even included Nazi imagery. The images date back to 2013 and some had been displayed publicly within the office. According to an email obtained by Le Monde, de Fondaumière had known about the images for years, though both he and Cage denied any knowledge of the existence of the offensive images. The reports also detail long work weeks, high staff turnover and an autocratic workplace. Both studio heads had specific allegations levied against them. Cage is accused of making a racist comment, asking an employee of Tunisian descent if the perpetrator of a burglary caught on camera was his cousin. De Fondaumière is accused of forcing himself upon employees at company social events. Both deny all allegations. “On no evening did any of this happen,” said de Fondaumière. You want to talk about homophobia? I work with Ellen Page, who fights for LGBT rights. You want to talk about racism? I work with Jesse Williams, who fights for civil rights in the USA … Judge me by my work. Cage’s comments come after a trailer for the studio’s forthcoming game Detroit: Become Human debuted during Paris Games Week last fall, stoking controversy over its handling of domestic abuse. According to Le Monde, employees warned Cage of the “misogynistic” content in the trailer, but Cage showed no interest in their opinions or changing anything. Many of the allegations against Cage, de Fondaumière and the studio as a whole have been dismissed as the “rantings” of former employees. Quantic Dream’s full statement addressing the allegations can be read here.